For this lesson I have notated my version of the tune’s wonderful melody. One can easily hear the laid back and lazy sound to the melody as it trots over the chords. If you have picking buddies that are into soloing over tunes like “Sweet Georgia Brown” they will welcome this “new” gem with open arms as the chord progression is very similar. In fact, the chords are not the unique part of the song. Many tunes utilize this famous progression. One interesting difference is that in this song the last three chords repeat. This is due to the lyrics. 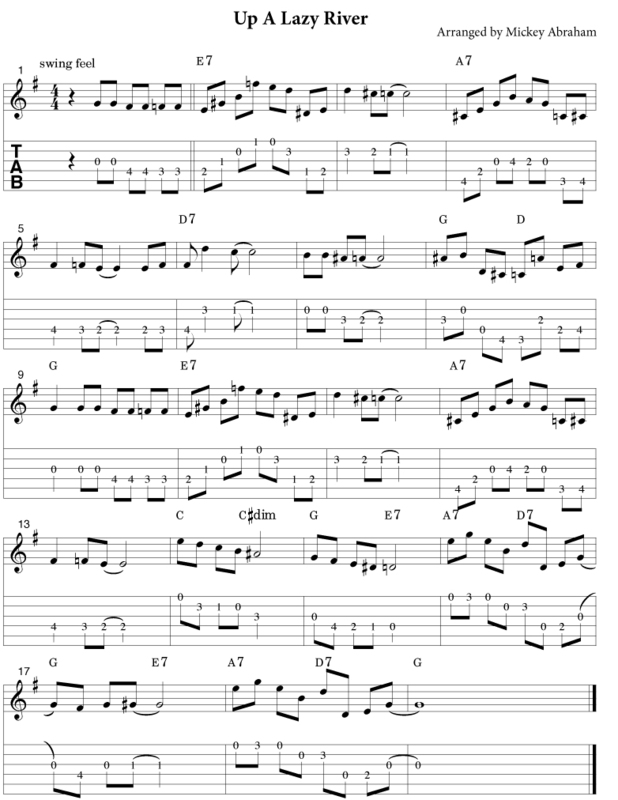 If you’re picking friends are into improvising over swing tunes like this then they will have to remember to keep soloing over those last three chords as it makes the song have an irregular number of measures. When you hear the actual melody it does feel this way.